I used kona cotton for the white, light green and green. I made a pleated skirt with a zipper. I used a shirt pattern for the top, cut away the side areas for the light green and added a sailor collar with help from Bai Ai Li. I used a long strip of recycled black fabric for the bow. 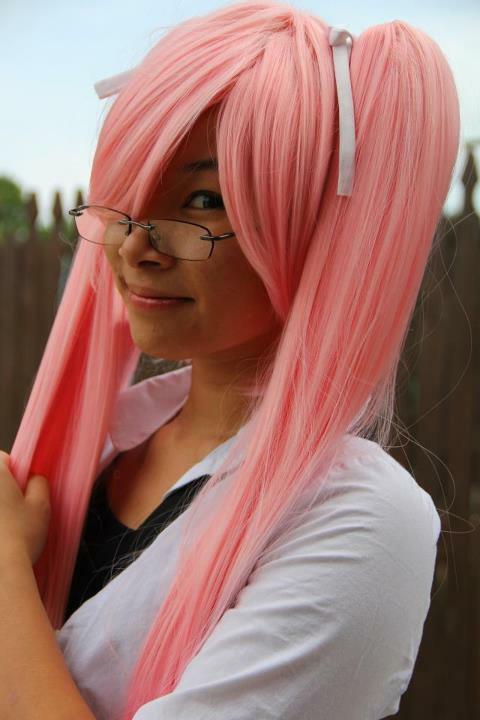 My wig is my other Takagi Saya wig. I used trash bag handles to make a fluffier bow. 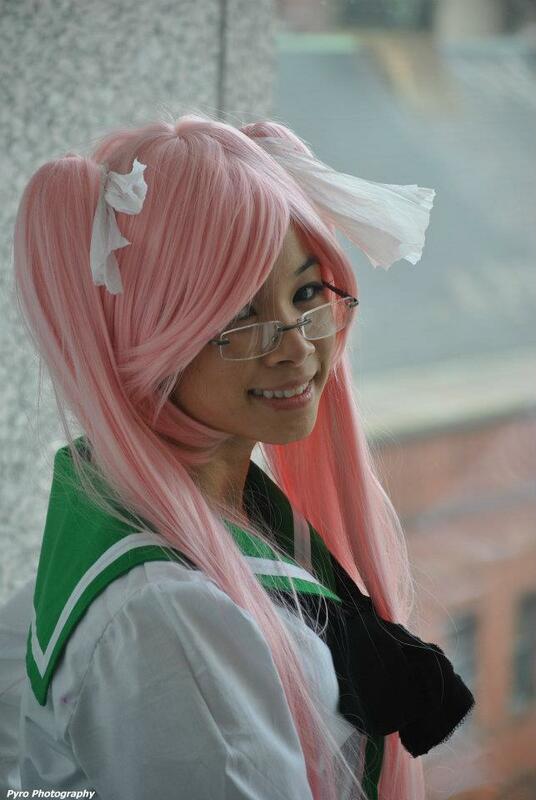 I really dislike sailor uniforms. But I was making this for a group. Glad it finally came together.